Walter Wimberly is a web developer, college instructor, speaker and author. He uses his experience as a web developer to teach others how to design effective web sites and how to make easy-to-use web applications. In addition, Wimberly writes and speaks for small business owners about real life solutions to problems that they encounter online, including search engines, social media, web tracking, and more. He authored the book, "Putting Your Business Online (A Do It Yourself Guide for Small Business Owners)." Wimberly is an adjunct instructor at Seminole State College in Lake Mary, FL. and FORTIS Colleges and Institutes online. He instructs on web site development and management including how to use social media, Google Webmaster Tools, and analytics to help make the website more effective. 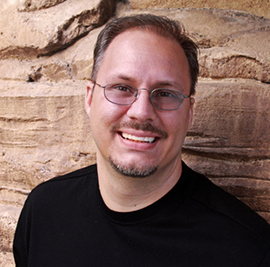 Wimberly currently runs Access2Learn, where he instructs on how to develop websites. He is also the owner and web developer for WaltDesign and Development, a company that helps small to medium-sized businesses achieve greater online success. Wimberly holds his Bachelor of Science in Computer Science and a Masters in Computer Information Systems.